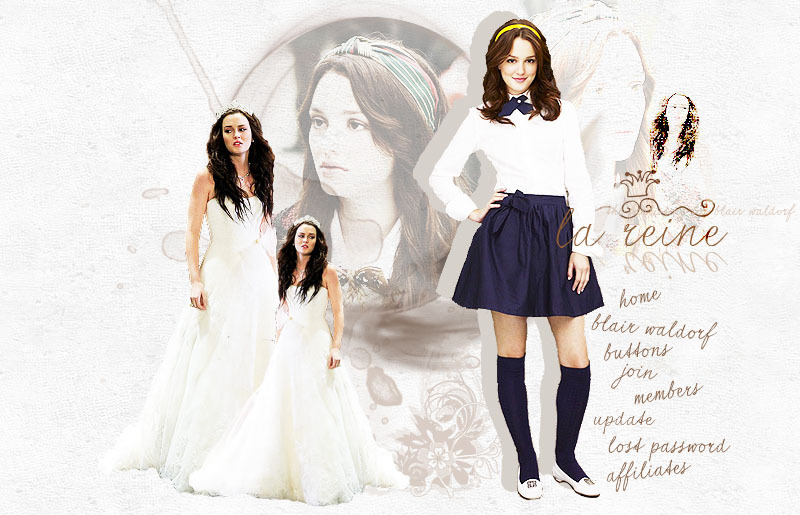 Welcome to La Reine, the fanlisting for the one and only Queen Bee, Blair Waldorf, listed at TFL.org in the Characters: TV and Characters: Book/Movie categories. If you are a fan of the wonderful Blair please feel free to grab a code and join! This fanlisting was previously owned by Kibou who so graciously let me adopt it. Thank you, Kibou! It was also previously owned by Mellissa, Allie and Yasemine. La Reine is run by Iris. There are currently 416 fans of Blair Waldorf with 0 fans waiting to be added with the next update. La Reine was last updated on 21st April 2019. Give a warm welcome to our newest member(s), Ai~!